There are many different ways to start an online business and make a lot of money. After a couple of successful stories read you can easily imagine yourself as the next Mark Zuckerberg. To become the next ‘on-line’ millionaire, you can either start with a simple blog and earn some cash from different affiliate programs or you can become a reseller of hosting services and etc. The big thing is that you can start an online business with little or no cost. Let me elaborate on this – your ideas and creativity are free and so is installing few CMS scripts; registering a new domain will cost you about $10 or higher and you’ll need few additional dollars to host your own website. It’s easy, right? But know, because it is so easy to start it is as easy to fail. The competition is huge simply because there are many that think exactly like you. And tomorrow – tomorrow will always be more competitive than today. 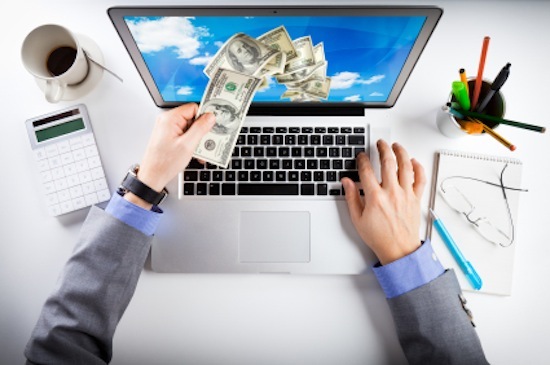 In my opinion, it can be very profitable to start an online business, since it is the fastest and smartest way today to make money easy and fast. Read on and find out some reasons as to why it is good to start an online business. Everyone becomes very greedy when it comes to money. So, start making it.. No matter of how much money you make, the truth is that you’ll always have the need to make and use more of it. Do the right thing and manage your Internet Business wisely and it will start to generate you money almost immediately. Yes, you read it correctly. Doing “some business online” means less taxes and more money in your pocket. And that is just perfect! This is a good one. Working from home and having the opportunity to organize your time in the manner that suits you the most, will always be the best reason why online business is number one job nowadays. You can take breaks whenever you want; there is no one to tell you what is right and what is not and in some sense you can do whatever you want. After all you are your own boss. Do you think your current employer will give you a day off for something like that? Online business is an inexpensive way of making money compared to a traditional business. Why? You can start with only a computer and an internet connection. Nothing more. Also, there is no need to rent a place as an office and therefore no need for office furniture. Moreover, you don’t need to employ other people – you can work alone. This means no extra cost for paying salaries and no headaches over insurance and taxes and all other withholdings invented just to fill someone else’s pocket. There are many more reasons to start an online business, but perhaps these 4 will inspire you to start your own. Good luck!